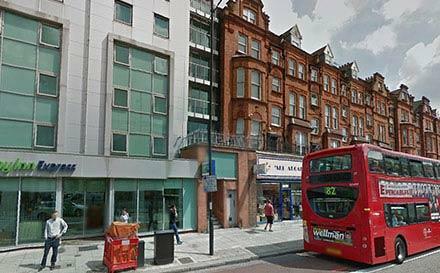 North West London has a lot to offer the average visitors coming to this part of London. You can still see plenty of fascinating sights, spend a night or more in a luxury hotel, enjoy a bit of London shopping, and dine out in a fine restaurant. The tourists that come to North West London tend to come to see one or two specific sights rather than just visiting North West London for a casual day or weekend out. North West London has a lot of great landmarks for you to enjoy during your stay such as the Royal Air force Museum in Hendon, Camden Town, Lord’s Cricket Ground, and Madame Tussauds. Of course, there is much more here for one to see and explore. It’s a very exciting and thrilling place with boundless opportunities. 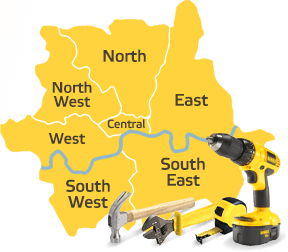 No More Tedious Tasks – You Have Our Inexpensive Services in North West London to Always Rely On! When was the last time you paid any attention to your home or office? If you don’t remember, you should consider booking with Handyman Handy for a home or office refurbishment in North West London. We have the experts, the experience and the materials to do a cracking job. You won’t recognise your property once our handymen have been over to work for you. They are quite incredible to be honest. They are all hardworking, motivated, efficient and on top of all that, very friendly indeed. You don’t have to stress yourself out trying to renovate a part of your property. Leave that to us! We offer bathroom refurbishment, office refurbishment, door fitting, plumbing services and lots more. So if there is a specific way you would like your property to look, send us your ideas and we will see what we can do. On the other hand, if you would like a change but don’t have a clue where to start, we can help you too. With our experts, anything is possible. If you would like a brand new door fitting, turn to us for that. Just call 020 8434 7477 today for a free quote and lots of useful help and advice. Is plaster peeling off the walls of your bathroom? Does your office constantly look stuck in the 80s? It is time to invest in a high quality bathroom refurbishment or office renovation. It’s up to you but it would definitely be a wise idea to book now before the problems get worse. 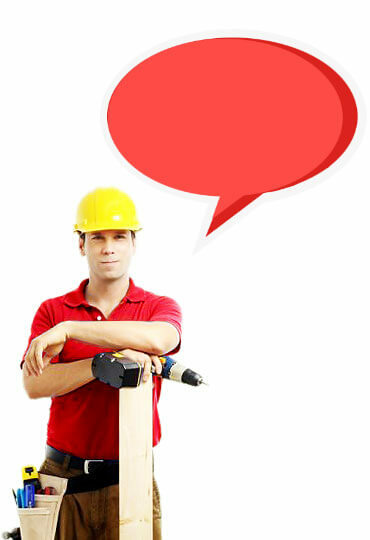 Handyman Handy, fortunately for you, is one of the best companies around for miles when you need any handyman services. With our years of experience, you can look forward to high quality services at all times and you will never be disappointed with our handymen – never! We can also help you with door fitting, if your old door has seen better days and you are itching for a new one. And we can help with plumbing emergencies if you have them at any point. If you like what you hear and want to find out more, please call us today on 020 8434 7477 and find out everything you need to. Plus, get a free estimate! Don’t keep hanging on – hire professionals now for professional help.